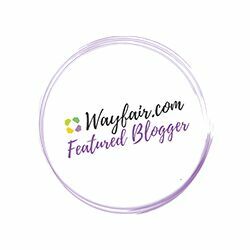 This week I’ve been frantically preparing my submission for a contest, started a pattern slopper for a pajama shirt for the grand-baby, found more great finds on the web, did a little fabric shopping and was selected to submit a Guest Post to one of my favorite blogs. So here’s the latest weekly thread! I’ve been trying to create a textile to submit for the Spoonflower challenge before April 19th. Working with the broad cloth has been challenging, but my poplin fabric arrived this week and now I feel confident that I will come up with some good prints. I’ll need your vote soon! Here are a couple of popular prints I posted on Instagram. Figuring out the cervical height and the other measurements drove me insane while I had a head cold. I’ve been working on a pajama top slopper for my grandson and, it was a little frustrating to create when your customer is not there for the fitting. Since he’s visiting me this weekend I can get it done! Once it’s completed I can upload it to Adobe Illustrator to work on the PDF pattern and grading. I had to buy more fleece fabric for my pajama top at *JoAnn Fabric and my poplin fabric arrived from *. The Spoonflower swatches and color guide for $2.00 is really a must have when ordering fabrics, because there’s a swatch for every type of fabric, wallpaper, and wrapping paper they sell.